Well digging is not something you hear about every day but we can dig a well if the local ground water levels are high so you can have your very own hand dug well however anything over 5m in depth becomes expensive so sometimes it is not feasible but please contact us with your requirements as we may be able to help. At the moment we are unable to offer this service as we are still currently practicing and learning the art of using bricks. 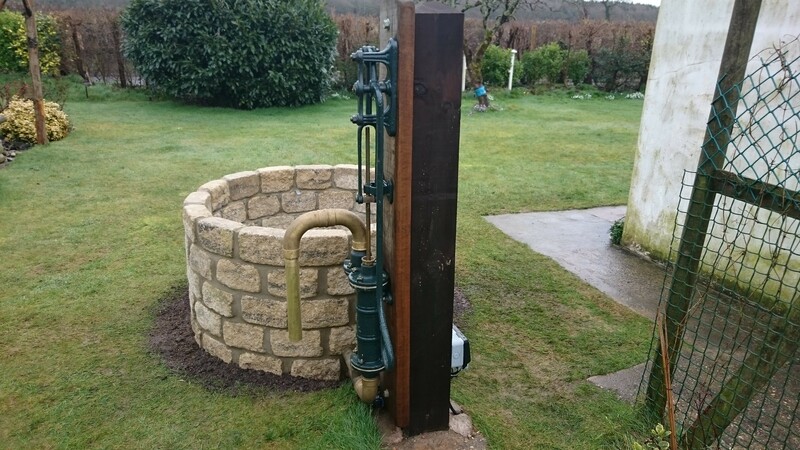 We would like to ensure we can overcome all problems in a safe and controlled environment before we can say we can offer a traditional Hand Dug Brick Lined Well. These are also much more expensive due to the costs of bricks and the amount of bricks needed to complete the steining of the well. 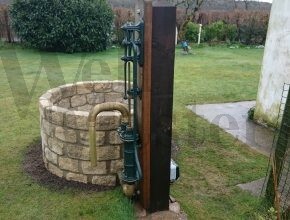 We welcome all enquiries for new hand dug brick lined wells however would also like to hear from anyone who has had any experience in well sinking with bricks. We dig and install these for those who are looking for a well and would prefer not to have a borehole drilled. If you already have a well which is in need of repair we can also re-line it or we can clean it out rather then dig a new one for you. 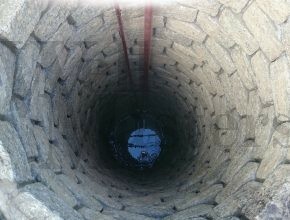 A new well can be dug almost anywhere but they do depend highly on the natural ground water levels and the local geology. If you would like to discuss a well project then please get in touch with us so we can help you as much as possible. 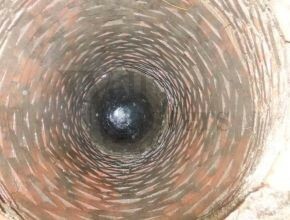 A new well can still be lined with bricks. 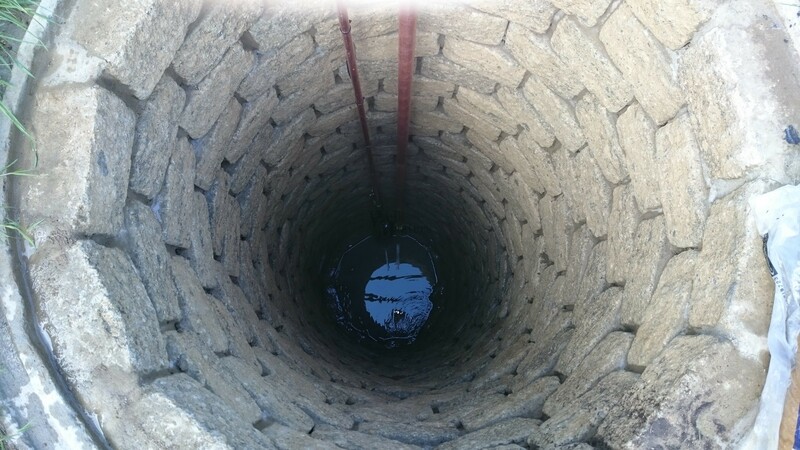 This below is a new well but with a lining inside.